Hitch-hiking back to Princhester Road is not as easy as I hoped. Many tourists pass me at the intersection of the two State Highways - none of them stops. After 45 unsuccessful minutes, I walk a few hundred meters further out of town to Sandy Brown road, which leads into Te Anau's industrial zone. My target: locals. 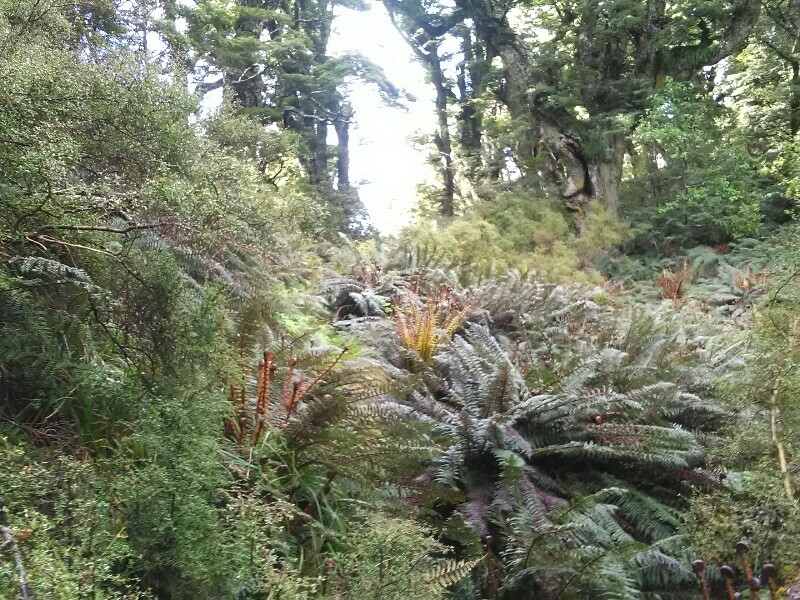 A 6 kilometer road bash along Princhester Back takes me back into the bush and the Takitimu Forest. The tramping track starts very pleasant, even small streams are easily crossed via bridges. But that's only for the first 100 meters. What follows is like a kick in the teeth: A boggy, overgrown track with many roots scrambling parts. Very slow progress. Not as bad as the typical Northland track though. I guess I'm just not used to them anymore. 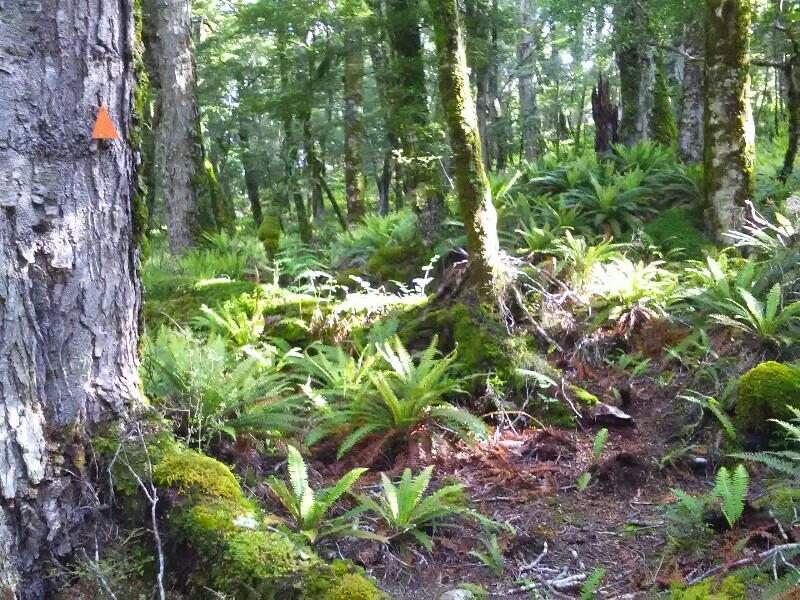 Luckily, the track improves after 2 hours and gets a mix of beechforest and tussock covered swamp. 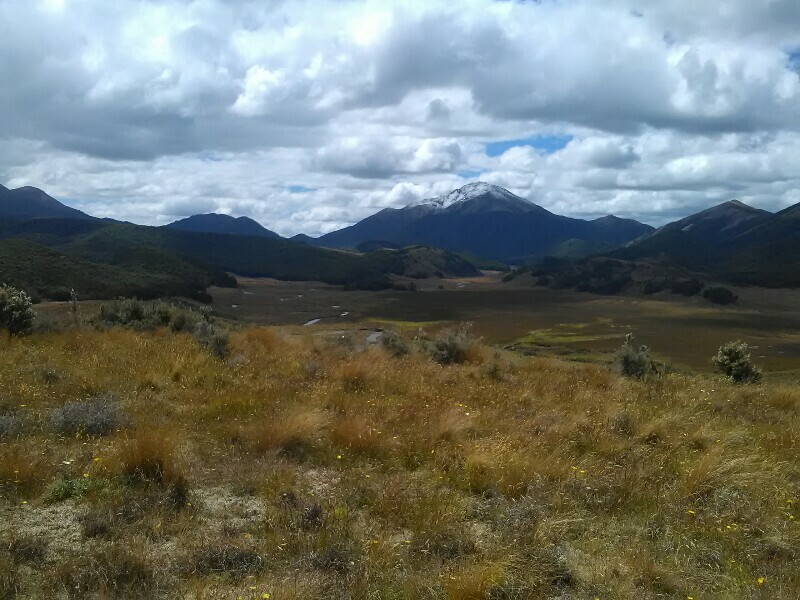 The tussock is full of hidden streams beneath and as it's extremely dense, it's rather a stumbling than walking. At least it's a soft landing when I eventually fall. By 4, Aparima Hut is insight. 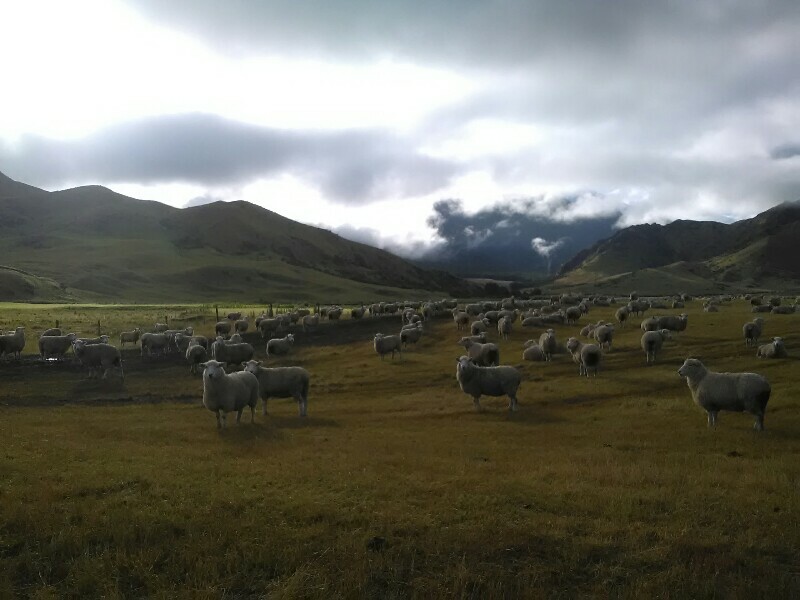 From here, it's another 6 hours to Lower Wairaki Hut. Tight but I'll try to make it there. My legs feel good and it makes planning the next few days easier, if I carry on. According to the trail notes, the trail is light - hard to see and thus difficult to navigate. However, this is not the case. On the obvious, flat track I make steady progress and only get slowed down by the numerous gully-crossings on the second part. Two NOBO's warn me that the hut is already full. What a bummer. I somehow feared this might eventually happen. But maybe there's enough floor space to sleep on my mattress. A tricky river crossing of Wairaki Stream (and probably no fun when river in flood) marks the end of todays hike. It's already 8:30. A long day. 12 hiking sticks and a tent in front of the 4 bunk hut: Not a good sign. In fact: the hut is packed. 7 NOBO's in there, 2 already on the floor, one sleeping in his tent. Well, no other choice than to pitch my tent as well, which, due to the lack of flat spots, is a bit of a challenge. I finally pitch it on a reasonably flat spot behind the woodshed - hurrying before the sandflies eat me alive. The long day was tiring and I neither feel like cooking outside with the sandflies nor inside the crowded hut. So I content myself with some nuts and dried fruits.